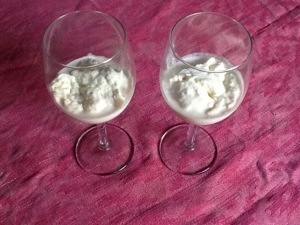 We had limes, we had fresh cream, and had even found sweetened condensed milk: Key lime pie was the idea, but plans changed, and we made a simple ice cream instead. Much as I love dessert, we cannot eat a whole pie in the time remaining before departure… but what remains of this ice cream will keep. Adapted from food52: The best lime icecream, which looks lovely. 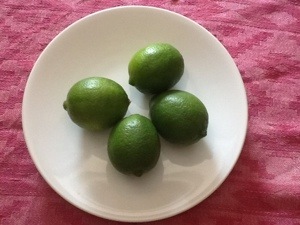 However, we needed to save some limes for that pie, which will be after the upcoming holiday. Thus, we used half lemon and half lime, with a bit less sugar and more zest than the original recipe, so it’s quite tart. Zest and juice limes and lemons. It will smell amazing! Combine all ingredients, and freeze in an ice cream maker if you have one. I just used a wide, shallow plastic container. Stir with a fork once an hour the first few hours while freezing, it helps give a more even structure and breaks up any larger ice crystals. Notes: it froze rock hard, but melts quickly once out of freezer, as you can see, so best not to leave it out too long. I might add a splash of vodka to keep it softer another time. Being used to milk-based gelato or yoghurt-based icecreams, I thought the cream here was a little heavy, but my husband thought this was great as it was. A little scoop is plenty. 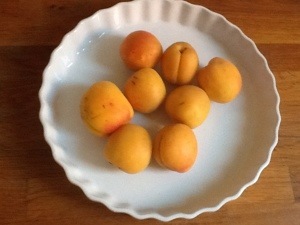 Easy dessert on a hot summer evening. This entry was posted in food and tagged citrus, ice cream, lemon, lime on July 25, 2013 by krumkaker. A friend mentioned how his building is emptying out now, as people leave for their other houses by the sea or in the mountains. Not that the neighbours there talk much, he said; only the maids and nannies chat much. Well, he does live in a much posher area in Rome than we do; our scala (stairwell) certainly has no maids or nannies, and there is no exodus here yet. The tabacchi has closed for the month, but most shops are still open. It will get quiet around Ferragosta (15 August), but it is still lively here. Across the street, I can look into a kitchen where the extended family is having dinner, with the grandfather in his undershirt, as usual. It is a muggy evening, but there is laundry out all over, dinner being made, and windows opening to catch some evening air. 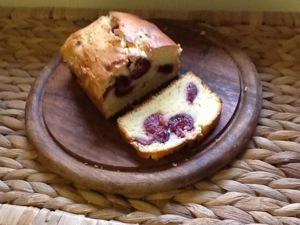 Ah, summer….. And a simple cherry cake. Heat the oven to 180C. Line two small loaf tins with baking paper. Wash, stone and halve the cherries. In another bowl, beat eggs and sugar, then add ricotta and softened butter. Add dry ingredients, and stir together. Scoop a third of the batter in (it will be thick), and layer half the halved cherries in. Scoop in another third of the batter, and top with the remaining cherries, before finishing with the last third of batter. No need to measure this, just approximate it. 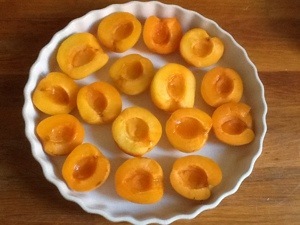 Bake at 180C for 55-60 minutes, until it is golden on top and looks done. Cool before slicing. Notes: you could easily make this in a bigger round tin, or one big loaf tin: just adjust baking times. 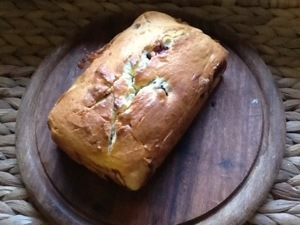 Nice flavour from the the cherries, which all migrated to one layer in the cake. So you could probably put it all in together and still have a nice result. 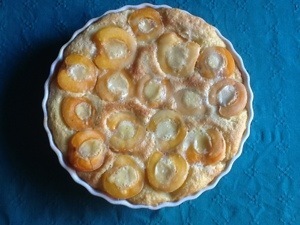 This entry was posted in baking, food, fruit and tagged cake, cherries, ricotta on July 23, 2013 by krumkaker.